Canterbury’s junior range continues our brand’s commitment to producing high quality kidswear apparel, and the Team Plain Track Pant is a great example. Featuring rapid-drying, moisture-resistant Vaposhield, these track pants will keep junior athletes drier for longer on the field. 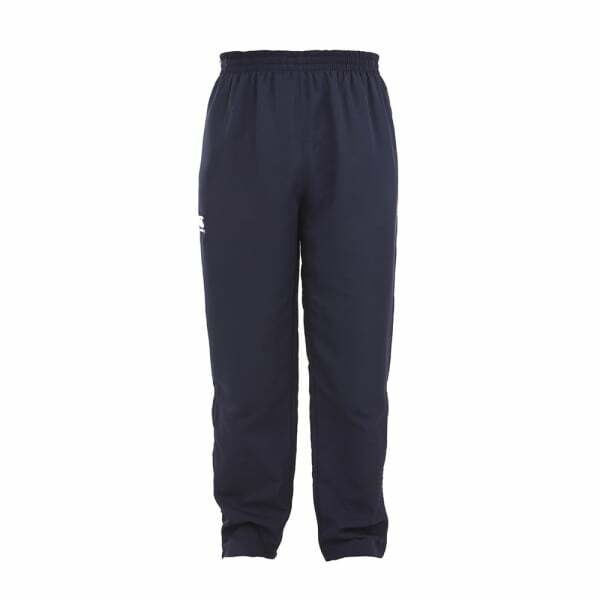 The lightweight, breathable polyester and mesh lining provides exceptional comfort, and the classic design of the pants offers free movement, allowing little athletes to maximise their power during training and exercise. With the 12” leg zips, you can adjust the pants to ensure a great fit, and the quality and trendy design of these classic pants, together with the iconic Canterbury logo, will make you a true stand out in your team.